Hold your yarn between thumb and first finger, with the ball end of the yarn taken over the first three fingers and under the fourth, just as before. Now that you've mastered how to hold your hook and yarn, you are ready for making a slipknot and chain or even the double crochet stitch.... Be sure the yarn is behind the work for knitting and in front for purling. Accidental yarn overs will add stitches on the edge, as well as in the middle of the row. Be sure to knit in the stitch and not the bar between the stitches. Check to see if yarn in the stitches is not split. How to hold your needles. For pretty much ALL knitting (which includes purling!) you will start and the right hand end of a row (set of stitches) and work from right to left. The �crochet way� of knitting. Many of us called ourselves crocheters before knitters (myself included) which makes me feel more comfortable holding the working yarn in my non-dominant hand. Hold onto the loose yarn with the free fingers from your left hand. Keep the loose yarn in front of both of the needles. 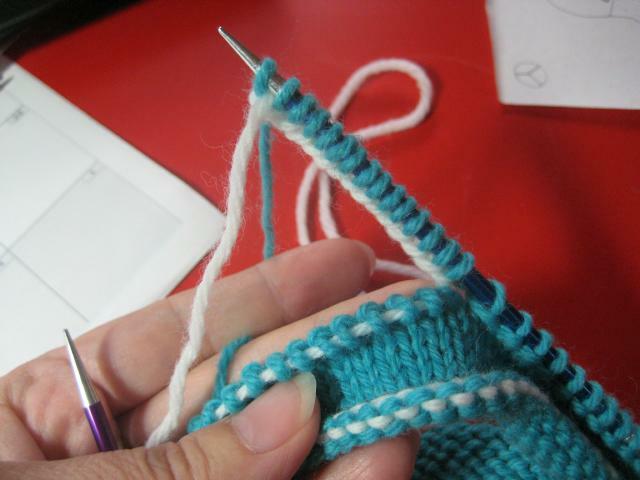 Keep the loose yarn in front of both of the needles. 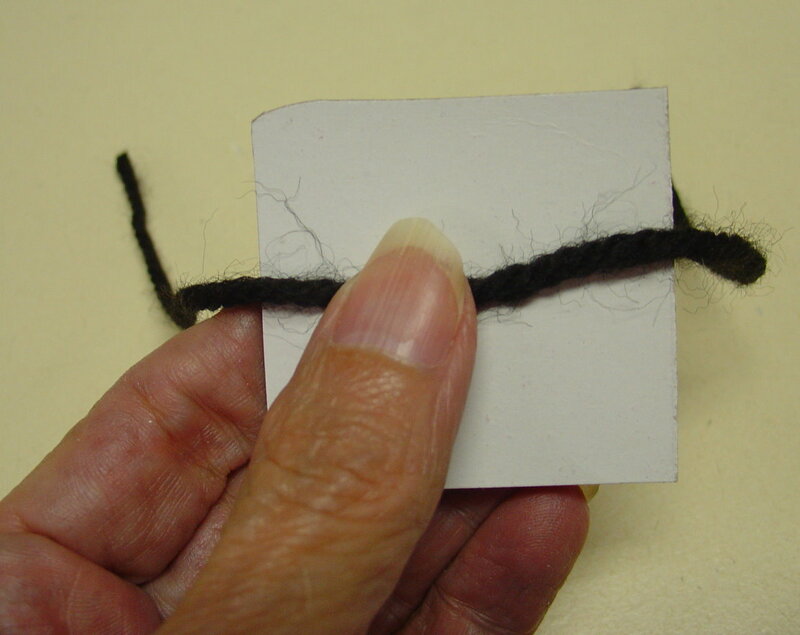 Use the right hand to wrap the loose yarn around the tip of the empty needle.